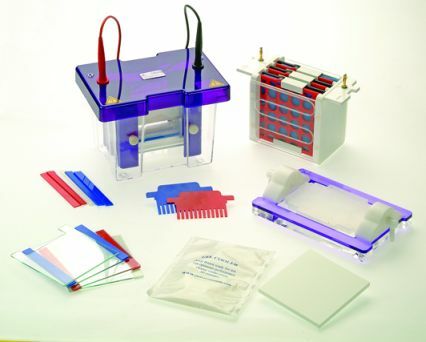 The omniPAGE Electroblotting Systems include both modules required for Slab Gel Electrophoresis and Electroblotting and accessories, to provide a complete Mini, Mini Wide or Maxi gel casting, running and electroblotting system. 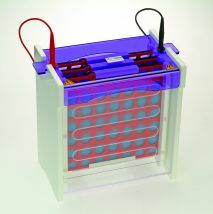 The electroblotting module includes three inter-locking cassettes and six fibre pads. A high intensity current is generated by coiled platinum electrodes. These in conjunction with the advanced cooling features allow rapid electroblotting in as little as one hour. 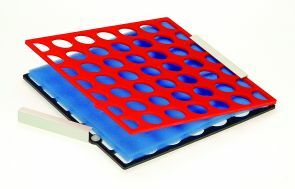 These stand-alone, complete units for electroblotting, Mini, Mini Wide and Maxi formats, include omniPAGE tank and lid, electroblotting insert, cassettes and fibre pads. 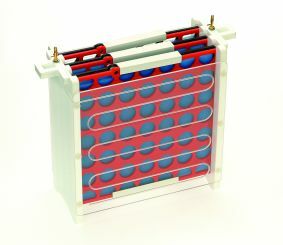 Units are interchangeable with omniPAGE slab and tube gel inserts. Hinged rigid cassettes allow rapid set up and convenience and ensure even contact between the gel and membrane is maintained.